Loras College Dance Marathon made a verbal promise Friday to raise $500,000 during the next two years to benefit family-centered services at the University of Iowa Stead Family Children’s Hospital, in Iowa City. More than 100 students gathered inside the College’s Alumni Activity Center for the announcement. Services include Just-in-Time patient-and-family-centered projects, patient and family partnerships, Child Life Program support, patient library materials/services, family lounge services, family suite housing, and patient-and-family-centered enrichment, awareness and promotion. 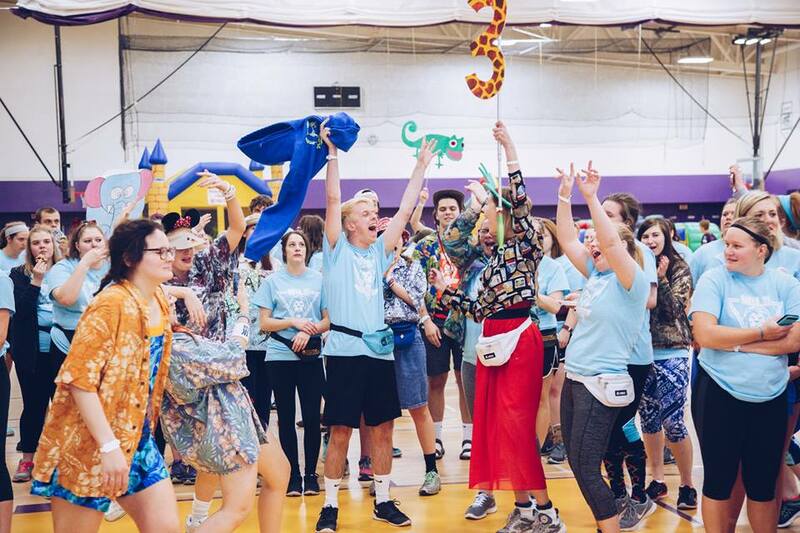 Each year, 300 Loras students fundraise year long to benefit the Children’s Hospital and then unite for 12 hours to celebrate before the fundraising total is revealed. Normally, the total is placed in a general account to be used by the Hospital as needed. With the new commitment, funds will go directly to family-centered services. Last year, students raised $216,061 for the Children’s Hospital, a $15,000 increase over 2016. The student-led event has raised more than $1.8 million for the Hospital and Children’s Miracle Network since it began 12 years ago. For the ninth consecutive year, it remains first in the nation for fundraising per capita. In 2015, the Dance Marathon funded a playroom in the perioperative services waiting area of the children’s hospital. For more on Loras College Dance Marathon, visit www.loras.edu/dm, Facebook, or Twitter. Loras College Dance Marathon is a yearlong fundraiser that provides financial and emotional support to families and children from Dubuque and the surrounding areas who have been treated at the University of Iowa Stead Family Children’s Hospital, Iowa City. Loras College Dance Marathon is the top dance marathon per capita in the nation for fundraising. Hundreds of Loras students will come together and stay on their feet for 12 consecutive hours on April 28.